The bottom of the shoe, the cleat, is what gives players the traction they need while running on the soccer field during games and practice. In general, the three types of cleats are hard ground, round and bladed. Each cleat has its own unique features designed for ultimate traction and grip. It’s best to find a cleat pattern that fits nicely to avoid any uncomfortable pressure points such as Nike cleats, adidas soccer shoes, New Balance and Puma cleats. 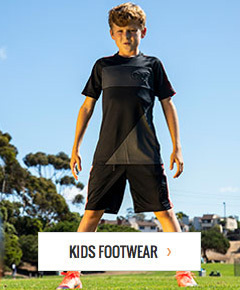 Shop soccerloco today and save on all of your favorite firm ground cleats like adidas and Nike FG! We always have new soccer cleats for sale!